Can You Die From a Klonopin Overdose? A Klonopin overdose is possible if a person takes more than the prescribed dose. Call 911 immediately if you believe you or someone you know has overdosed on Klonopin. How much Klonopin and/or other drugs the person took, if known. The estimated time the person ingested Klonopin and/or other drugs. The degree of Klonopin tolerance. Who Answers? if you need help with a Klonopin addiction. A representative can offer you recovery options based on your insurance. Abusing the medication: People who abuse Klonopin may take doses that are much higher than prescribed and are at risk of overdose. Crushing the pills and snorting or injecting them may also increase the risk of addiction and overdose. Tolerance: As a person builds a tolerance to Klonopin, he or she may need to take increasingly higher doses to feel the desired effects of the drug. This behavior increases the chance that a person will overdose. Most people can be discharged between 4-6 hours if symptoms have resolved. Monitoring of respiration, pulse, and blood pressure. Flumazenil is a drug that can reverse the effects of a Klonopin overdose. However, it comes with its own risks, including seizures in people who are dependent on the drug. The medical professional treating you will have to decide whether to use it. Who Answers? if you or someone you know needs help quitting Klonopin. Get help before an overdose occurs. Overdosing on Klonopin is rarely lethal. If the person overdoses on Klonopin alone, they will likely experience the effects outlined above and require medical treatment and monitoring. Most deaths from overdose on Klonopin and other benzodiazepines are the result of taking the medication with alcohol or other drugs that depress the central nervous system. This combination can lead to fatal suppression of breathing. A person who overdoses on Klonopin should talk to his or her physician about whether to continue taking the medication. In addition, many people who abuse Klonopin may be abusing other drugs and should seek help from a substance abuse program. Outpatient rehab programs allow you to live at home while receiving treatment at a rehab facility. Most programs consist of individual and group therapy, but some may include medical supervision and detox. Inpatient or residential programs help people uncover the reasons behind their addiction and avoid relapse. People recovering from Klonopin abuse or dependence may participate in individual and group therapy sessions, 12-step meetings, art or music therapy, addiction education sessions, and recreational activities. 12-step and non-12-step programs. These are self-help programs in which people with similar addictions support each other in recovery. Twelve-step programs offer a more spiritual approach, while non-12-step programs are more secular and evidence-based. 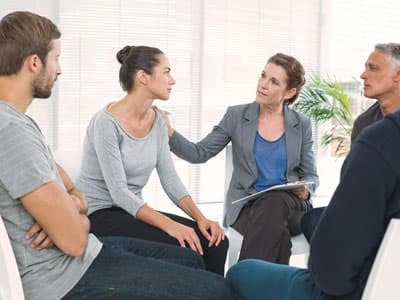 Cognitive behavioral therapy Also known as CBT, this therapy helps users recognize the thoughts that lead to drug abuse and teaches relapse prevention skills. CBT can also be used to help people overcome panic attacks. Individual counseling is one-on-one therapy with a licensed counselor can help the user work through issues surrounding addiction, such as mental health conditions or trauma. A therapist can also help a person learn how to live sober and help the person practice relapse prevention techniques. Group therapy brings together people who are struggling with addiction. Users realize they are not the only ones who have problems with drug abuse, and they can receive support and give feedback to others in recovery. Call us at 1-888-319-2606 Who Answers? if you would like assistance finding the right recovery center to help you or a loved one during recovery from a Klonopin overdose. Get the help you need to prevent another overdose or prevent the consequences of Klonopin abuse.
. National Alliance on Mental Illness. (2013). Clonazepam (Klonopin).
. Genentech. Klonopin® Tablets (Clonazepam).